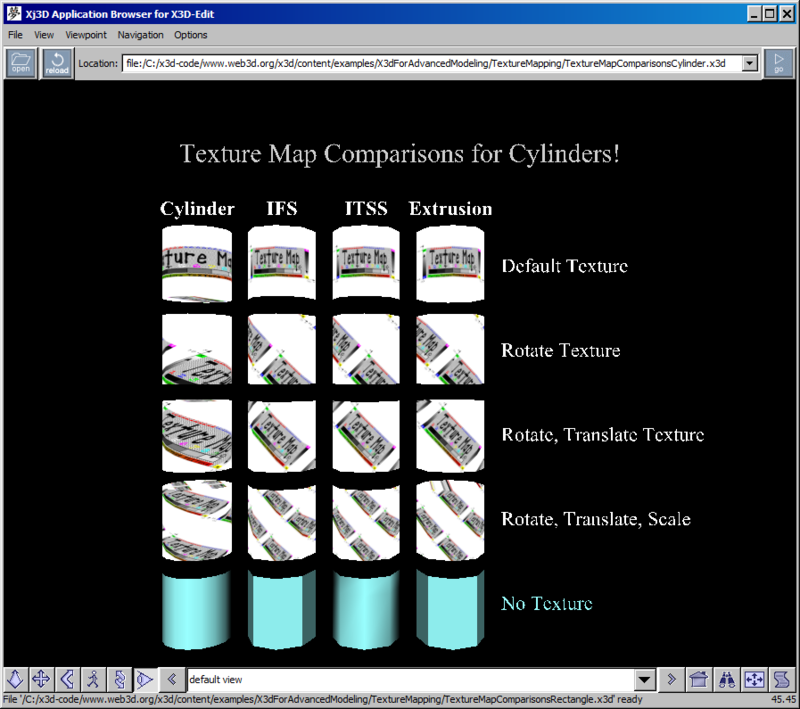 Texture mapping maps images to geometry nodes. 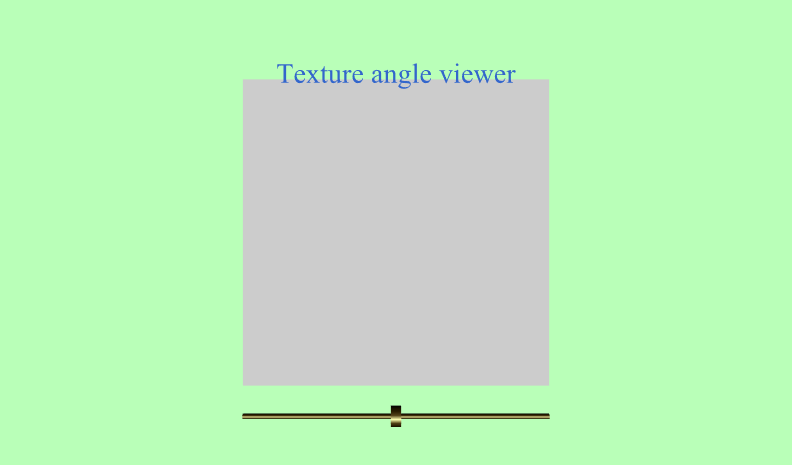 Images can be provided by ImageTexture, MovieTexture or PixelTexture nodes. 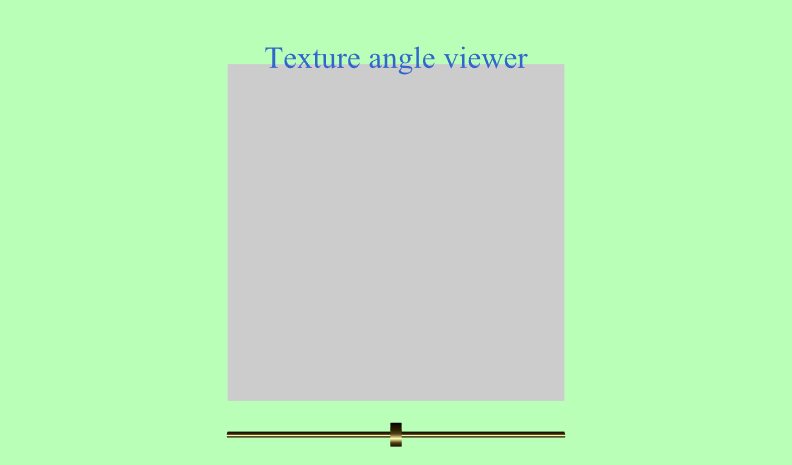 TextureProperties provides precise fine-grained control over application of image textures to geometry. 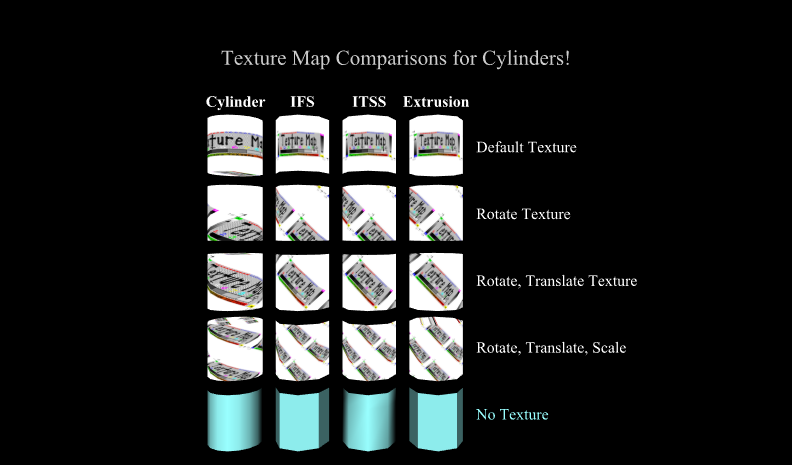 TextureTransform shifts 2D texture coordinates for positioning, orienting and scaling image textures on geometry. Multitexture techniques apply multiple textures to a single set of geometry, enabling a variety of visual effects such as light mapping and environment mapping. MultiTexture node can contain multiple ImageTexture, MovieTexture and PixelTexture nodes. 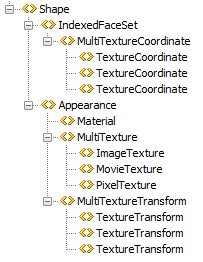 MultiTextureCoordinate node can contain TextureCoordinate or TextureCoordinateGenerator nodes. 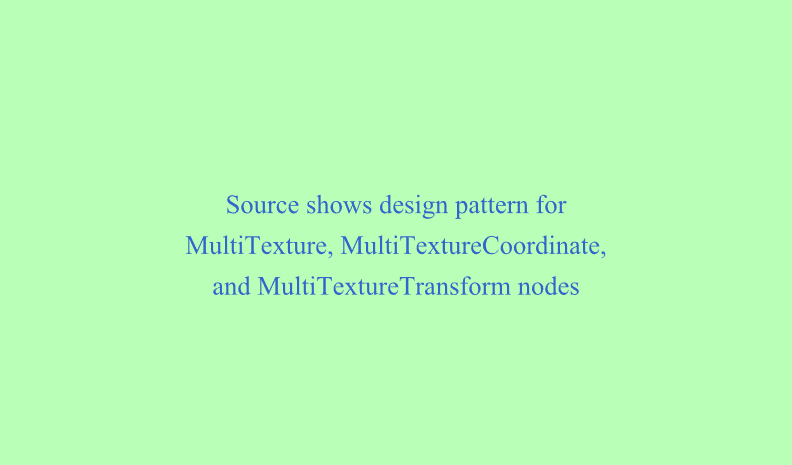 MultiTextureTransform node contains TextureTransform nodes that correspond to each texture image. 3D texture techniques apply volumetric textures that describe a volume in space, rather than a flat surface. 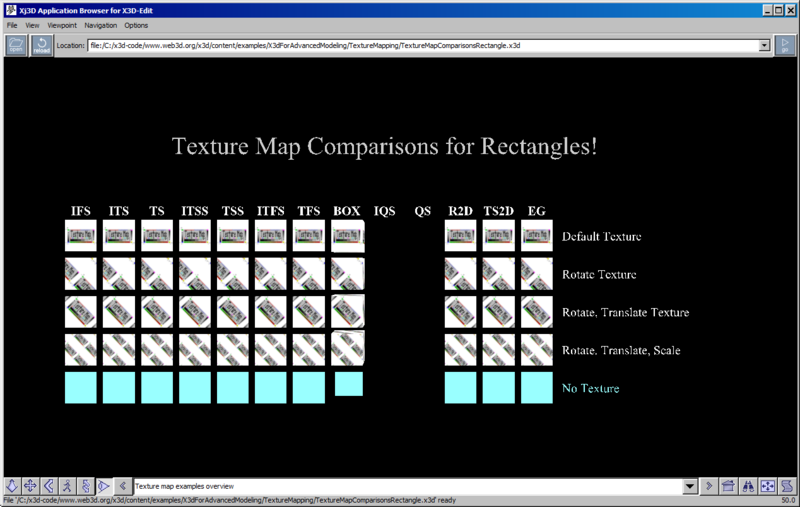 ComposedTexture3D, ImageTexture3D and PixelTexture3D define 3D image-based texture maps. 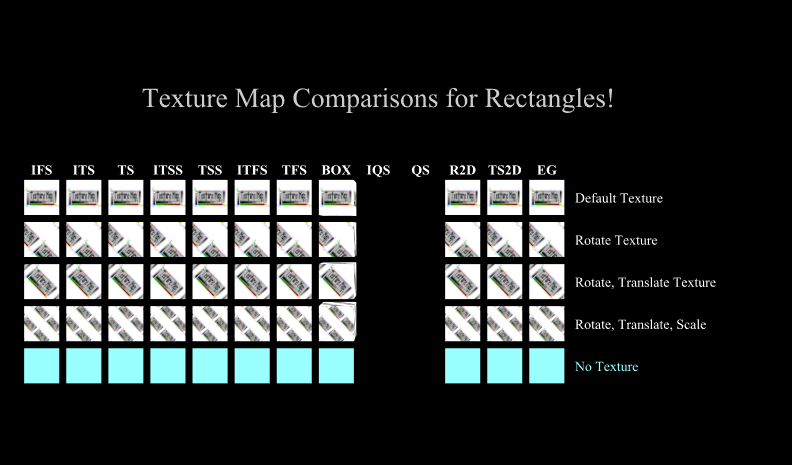 TextureCoordinate3D and TextureCoordinate4D map 3D textures to vertices. TextureTransform3D and TextureTransformMatrix3D apply a 3D transformation to texture coordinates.